Welcome to Essex County Youth Futsal! ECYFL has been formed by a group of experienced town-based youth soccer coaches, referees and administrators as a non-profit organization to offer and promote off season training and competitive futsal play opportunities for the players and coaches of Essex County and its communities that are affiliated with Massachusetts Youth Soccer and US Youth Soccer. Futsal is a form of 5v5 soccer, and is the only form of indoor soccer sanctioned by FIFA and USSF. It is played without boards on a hard surface using a special ball. Match play is governed by modified FIFA Futsal Laws of The Game. The surface, ball and rules create an emphasis on improvisation, creativity and technique as well as ball control and passing in small spaces. These factors combine to allow players to develop quick, confident touches, and make quick, confident decisions on and off the ball while playing a fast paced, exciting game. Please browse our site or email us at for more information. We hope you will consider ECYFL as part of your team/town/club’s off-season training and be a frequent visitor to our site! 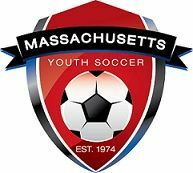 Essex County Youth Futsal League has been accepted as an affiliated league by the Massachusetts Youth Soccer Association, and is affiliated with US Youth Soccer and the US Soccer Federation through Mass Youth. Just as futsal is the only form of indoor soccer sanctioned by FIFA and USSF, ECYFL is the FIRST and one of only two futsal league affiliated with Mass Youth and US Youth Soccer in Massachusetts! 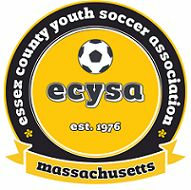 Essex County Youth Futsal League is proud to be accepted as a partner of the Essex County Youth Soccer Association (ECYSA). ECYSA and ECYFL will share resources to offer town travel and recreational participants expanded, quality, low-cost playing and training opportunities throughout the year. For more information about ECYSA, please visit the ECYSA website.